I think we have heard this one before, but here it goes again! C-MARC™ does it yet again! 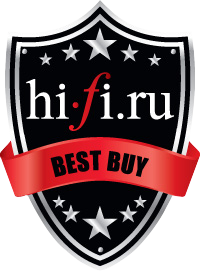 This time in Russia, Hi-Fi.ru online review magazine decorates C-MARC™ with their Best Buy Award. This is already the fifth press award for C-MARC™ wire and cable! "LessLoss C-MARC - the "lowest noise" cables on the planet"
"These cables startled us to the core! At this high end performance, such perfect dynamics and absolutely tangible sound stage, the LessLoss C-MARC comes, indeed, as if from a much higher price category. Hurry, while such charity continues." "The biggest advantage is the resolution throughout the audible range. The detailing becomes noticeably better, the vividness of the sound stage is striking, and the dynamic range increases dramatically – at times I had to re-check the price tag, since such effects were previously encountered only with cables in a price category that exceeds the test value tenfold. No kidding." "Where the LessLoss C-MARC literally smashes competitors is in the total naturalness and fusion of the musical canvas. It becomes simply impossible to break away from the music, the hand cannot be forced to find the shutdown controls (even when necessary), and parting with the system turns into a physical ordeal. Be careful. Such "magical" properties emanate only from (at least they used to) Ultra High End components and cables. Now it is available at a completely different price level - thanks to the LessLoss C-MARC." Don't forget that LessLoss offers upgrades from the former DFPC series power cables. Write to info@lessloss.com for more details about how we can help you get the finest (and not nearly the most expensive) power cord on the planet! You will love the sublime performance, and it will be our pleasure to serve you soon!